It’s free to use for both employers in Vietnam and job seekers. Normal job: Standard job ad as usual. Latest jobs will stay above the old ones. 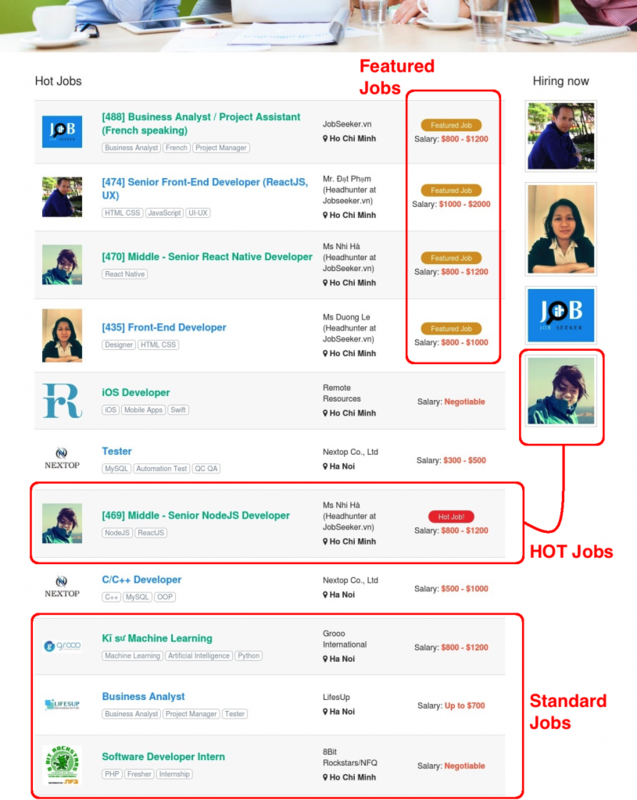 The job is highlighted with a color label to attract attention from job seekers. Company profile & its job list could be browsed quickly & easily through always-on-display logo at the right column. Always shown on top of search result. Or by “Contact us” box at the right-bottom corner.